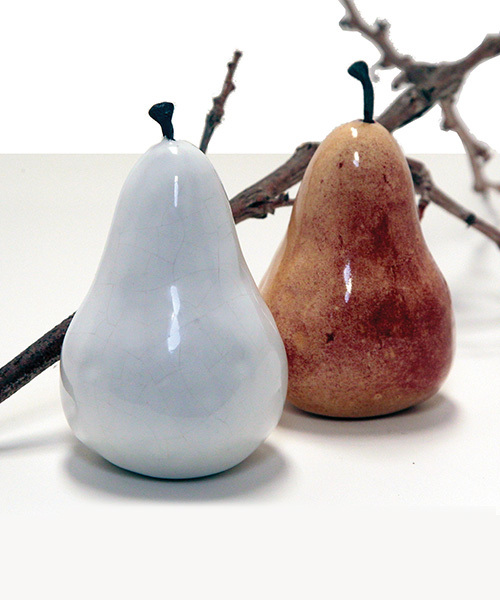 Inspired to "bring the clay to life", these handsome ceramic pears are made in the Napa Valley by a skilled potter. The glazes have an earthy tone, each pear is unique, and the stems are made of horse shoe nails. Classy white is currently available..a great gift for your art loving friends and family.